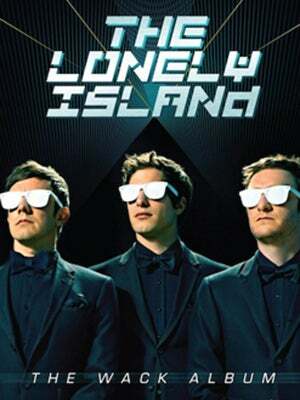 It all started with Lazy Sunday (Chronic WHAT-cles of Narnia), then came the classic I’m On A Boat, and now The Lonely Island (otherwise known as Andy Samberg, Akiva Schaffer, and Jorma Taccone) has nabbed a whopping 43 million views on YouTube with YOLO. If you’re responsible for a large part of these views (we're guilty, too! ), you simply can’t pass up the chance to chill with the rapping comedic trio at "The Wack Album" listening party happening tomorrow night, in celebration of their forthcoming album drop, June 11. Just tell us your favorite and/or dream Lonely Island collab and WHY in the comments section below and we'll pick two winners to win tickets to the exclusive listening party. (It shouldn't be hard, peeps — the newest album features Hugh Jackman, Kristen Wiig, Robyn, Adam Levine, Kendrick Lamar, Justin Timberlake, Lady Gaga, Pharrell, and Solange, to name a few.) Extra’s Ben Lyons will start the night off asking the group about the new record, and then Andy, Akiva, and Jorma will play their top tracks and videos. Clear your social calendars, we’re already anticipating extreme stomach soreness from all the laughs! When: Thursday, June 6, 7 to 10 p.m.
Where: Sonos Studio, 145 North La Brea Avenue (near Beverly Boulevard); no phone.